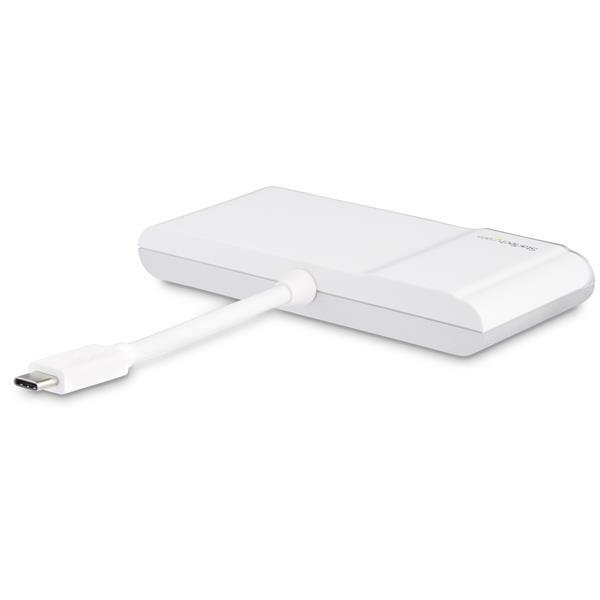 (5 stars) Great adapter when on the move! 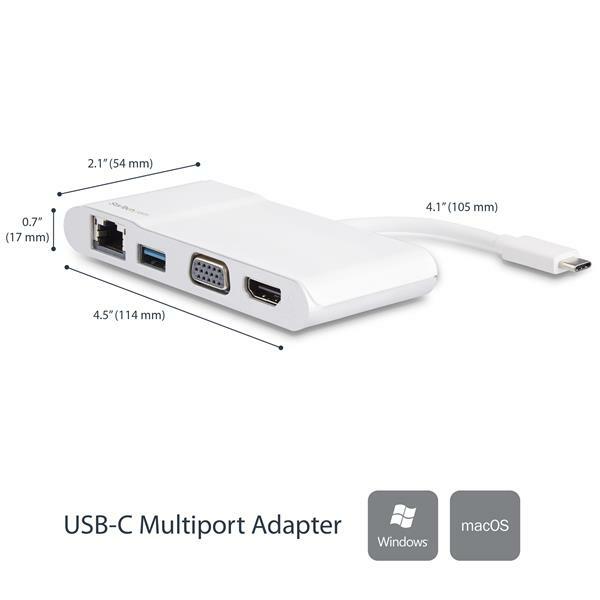 Connecting via USB-C this multiport adapter has GbE, USB and VGA/HDMI for external display. 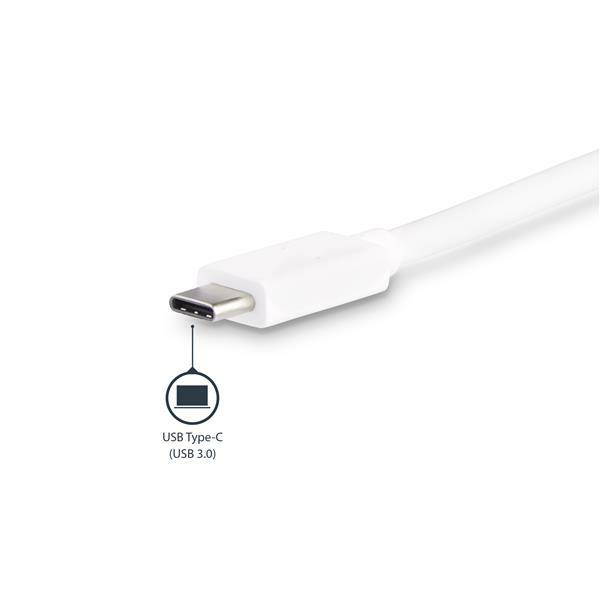 The length of the USB-C cable is a little short (not sure if USB-C extender would work) but other than that it works great for my needs. I received this product in exchange for an unbiased review. 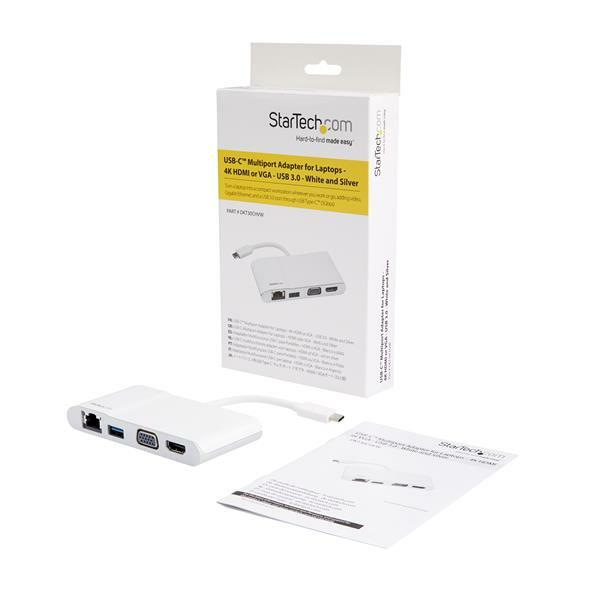 Great little adapter for connecting to a monitor and network when bouncing between offices. USB port makes it even better. 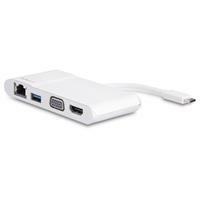 Solid build, and fast/smooth performance in the network and file transfer (USB), and USB peripheral use! My only gripe is that the attached cable is, well, attached. Being as short as it is, it keeps it close to the laptop and that's not always ideal. A detachable cable so that the user can decide what length is needed, would be ideal! I got this product to test and I have been using it since. I tried on my android tablet, Samsung S8 and on my laptop. Gret features as you can export your cell phone or tablet to a screen for demonstrations and in my opinion, it is the selling point for a good price. I have a Dell laptop with USB C and work awesome with no fallbacks. Disclaimer: I received this product in exchange for an unbiased review. (5 stars) Perfect adapter for my needs! 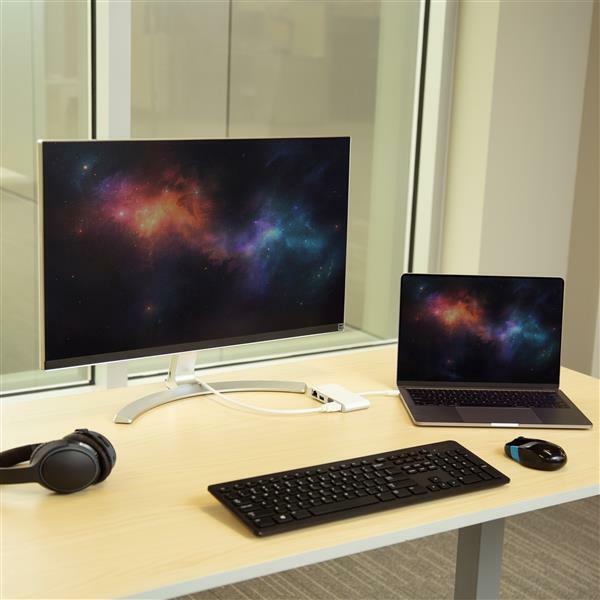 I was only able to test the unit with my Samsung Galaxy S8 as my laptop does not have a USB-C port. It worked flawlessly to export my phone's screen to both HDMI or VGA. This allows me to demonstrate our product's mobile app in sales and training environments. Additionally, I love the fact that it is bus-powered, reducing the need to carry around yet another bulky power adapter. Disclaimer: I received this product in exchange for an unbiased review. (5 stars) Perfect port selection! I’ve tried a lot of these types of mini-docking stations/dongles from StarTech and while they’ve all been excellent, this one is by far the best because it has the perfect port setup. You always want to have Ethernet because most laptops these days are getting thinner and losing this port. An extra USB3 port is always welcome. 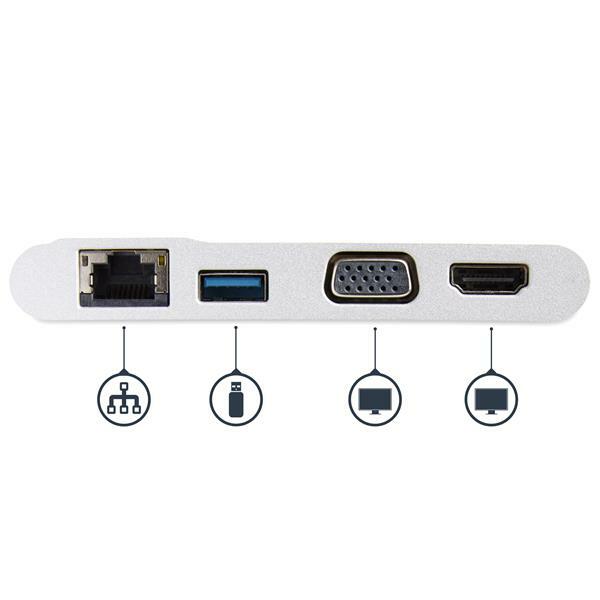 As for the two display ports, I’ve seen these in different combinations but this one is the most compatible. Most of the conference rooms I’ve seen are either VGA or HDMI and this has both. As for the construction, it feels very solid and well made and the cable is thick and won’t fray or come apart easy. Also, it’s just plug and play, no messing around with drivers needed. Would recommend. I received this product in exchange for an unbiased review.